WASHINGTON — Agustín Edwards Eastman, a Chilean newspaper publisher who collaborated with the CIA to help foment the 1973 coup that brought strongman Augusto Pinochet to power, and who used the power of his press to bolster Pinochet’s regime through years of brutal repression, died April 24. He was 89. His death was announced by his Santiago-based newspaper, El Mercurio. The publication reported that he had complications from a surgery but provided no other details. Mr. Edwards had been in a coma for some time. 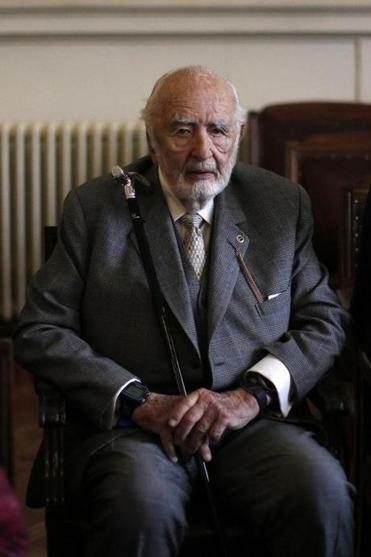 Mr. Edwards was a scion of one of Chile’s most prominent and prosperous families. A grandfather had served as president of the League of Nations and as Chilean ambassador to London. The Edwardses’ business operations extended from banking to whaling to beverage sales to ownership of a national airline, said Víctor Herrero, a Chilean journalist and author of a 2014 biography of Mr. Edwards. But the family was best known for its ownership of newspapers throughout Chile. Since the 1800s they had owned the right-leaning El Mercurio, the jewel of their media empire. His media holdings gave him significant influence — in the United States as well as in South America — and he deployed it abundantly in the 1970s to help defeat the democratically elected Marxist president Salvador Allende. According to the National Security Archive, an antisecrecy group, Mr. Edwards was ‘‘the only Chilean — civilian or military’’ — known to have met in person with then-CIA director Richard Helms in the effort to depose the newly elected but not yet inaugurated Allende in 1970. Counseled by then-National security adviser Henry Kissinger, President Richard M. Nixon favored deposing Allende to curb leftist influence in Latin America. After Allende took office in 1970, Mr. Edwards’s newspaper became one of the nation’s most powerful critics of the government. On Sept. 11, 1973, Pinochet mounted a military coup and succeeded Allende after Allende committed suicide in the presidential palace. With continued financial backing by the CIA into 1974 — totaling around $2 million — El Mercurio reported favorably on Pinochet’s junta in an effort to cement its control. Most infamously, publications owned by Mr. Edwards covered up human rights abuses including the ‘‘disappearances’’ of political opponents who had been killed by the Pinochet regime. ‘‘For somebody who represents journalism to have taken money from a foreign power, not only to support yourself financially but also to publish articles in your newspaper at the request and under the instructions of a foreign intelligence agency . . . that’s about as bad as it gets in journalistic corruption,’’ Dinges said in an interview. According to the National Security Archive, Mr. Edwards steadfastly denied discussing a coup with Helms or accepting CIA funds. Allegations of his dealings with the CIA were revealed first by the Church Committee on US intelligence abuses in the 1970s, Dinges said, and later through journalistic and other investigative efforts, including those of the National Security Archive. In 2015, Mr. Edwards was expelled from Chile’s national journalistic association. Agustín Iván Edmundo Edwards Eastman was born on Nov. 24, 1927, in Paris, where his family was living temporarily in political exile. He was educated in England, at the University of Chile and at Princeton University, where he received a bachelor’s degree in international affairs in 1949 before entering the family business. After Allende’s election in 1970 and until 1975, Mr. Edwards lived in self-imposed exile in the United States, working for Pepsi, because he feared that he might be the target of a left-wing attack, Herrero said. He returned after Pinochet consolidated power. The general stepped down in 1990 and died in 2006. Last year, Mr. Edwards was named as a client of Mossack Fonseca, the Panamanian law firm at the center of the Panama Papers, a cache of leaked documents that drew international attention with its revelations of offshore bank accounts employed by the international elite. Mr. Edwards was married to María Luisa del Río and had six children — Agustín, Isabel, Carolina, Cristián, Andrés, and Felipe — all of whom survive. Cristián, who later became an executive with divisions of the New York Times, was kidnapped by leftists in 1991 and held for ransom before his release after 145 days in captivity.